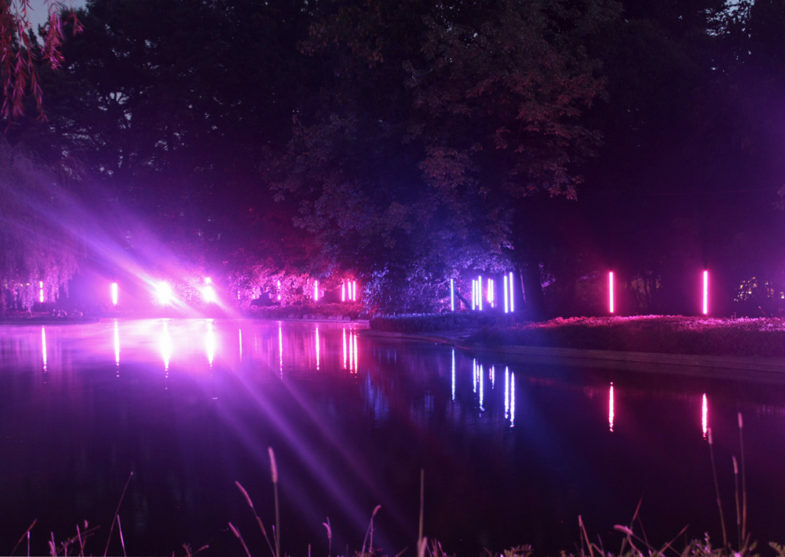 For the celebration of the 150 years of the gardens of Palácio de Cristal, we were asked to develop a light installation that would play with the natural elements of a specific area of the event. 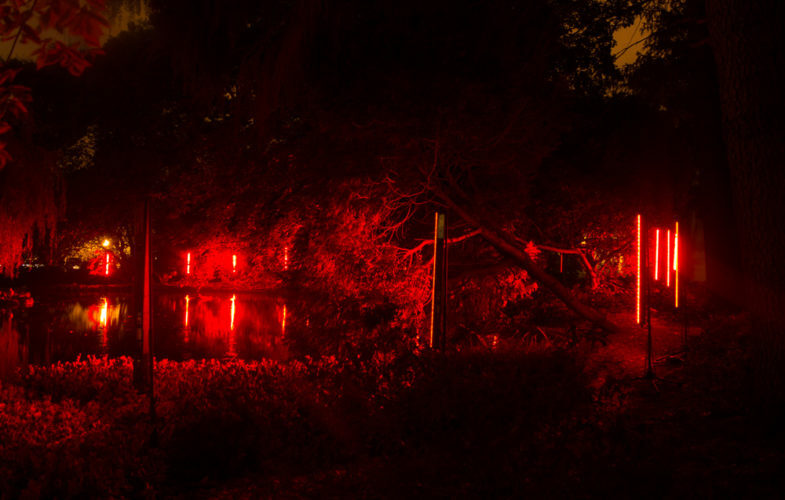 30 vertical light tubes were place along the margin of the lake and different light composition were pre-program. The result was a set of different light/shadow animated sequences that interact with the natural elements of the surrounding space.